I have a wish list of books that I need to exist. Whenever I get in this mood, my first instinct is to try and write it myself, and then when the wall hits that’s of course when I learn that just because I want it to exist, doesn’t mean I’m the best person to write it. So I talk about it, so maybe I can will it into existence, or be told that it already was written and here’s the link. 1. Historical romance set in the Philippines. Because many Filipinos like to read historical romance, but we have almost none set in the country, written in the same style. 2. Historical fiction set in the American period (turn of the 20th century). When I was brainstorming with my husband which period a historical romance set in the Philippines could take place in, he suggested this, and I agreed. My grandmothers grew up in this window of history and were the first in their families to get a college education, and work before marrying. Anyway — a great time, and many stories to tell. 3. Sugar families. Katrina Ramos Atienza (whose family is from Negros Occidental) and I tried to do this, and we have a full outline for something but life happened so we’re not done yet. But plot bunnies abound for romance and YA. And then author Jennifer Hallock and I started talking online, and she told me about the book she had written. I bought it immediately. And started reading it too. It’s exciting to see someone actually do this! I may host a discussion on this soon, and I’ll blog about it when it happens. Kept shuffling back and forth in my thoughts of this, like one side of me is the historical romance reader who likes rom-commy/modern-bordering-on-anachronistic style [to clarify: this book is not so much rom-commy], and the other side of me is the Filipino who understands the other layer and is unconsciously looking for what feels right and what doesn’t. But then, let’s say at 38%, it all kicks in for me, and I realized how I could be both. Anyway, given that: JAVIER. Juskolord. (“Hay sus.”) Would not have believed it but there it is, Pinoy-style “ligaw” in an international romance book, but with a twist because romance heroes always and must do it better. And I’m usually not into the high-stakes romance because my heart doesn’t want to handle it, but this guy. I’ve not felt more sorry for a romance hero when it comes to that part when he decides what to give up. I’m also usually very generous and forgiving toward a romance heroine however she’s written but GOD almighty I wanted Georgie to wake up already. 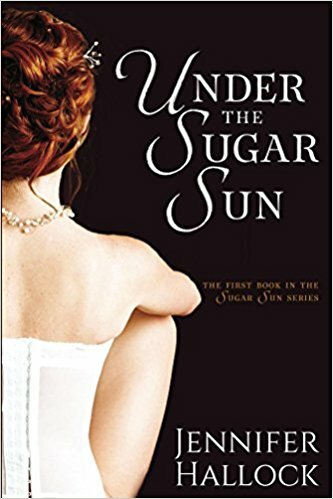 There’s a lot of history in this historical romance (and despite the banter that helped anchor me to this, the history may be too much for some) but I love that so I wanted that. There’s also a lot of setting, way more than we get usually, but for a reason, and I’m not sure how that would seem to a casual reader, because the commitment to place and how unfamiliar it can be is a main part of the conflict. I like how there’s a lot of layers to the characters too — I was asked on Twitter if I found the book “respectful of the culture” and I found it difficult to answer in 140 characters, because what is the culture? It’s an American/Catholic heroine, a Filipino mestizo hero, the Chinese, the Filipinos, and there’s ugly and heroic and self-serving and decent in everyone. There are things that sting, sure, not that I was bothered by it. Jennifer Hallock’s next book (there’s a preview at the end of this one) is historical Manila. YAY. Buying that when it comes out!